The Ministry of Transportation Ontario (MTO) is responsible for monitoring and proactively managing the province’s road network. Given Ontario’s sheer size, population dispersion, and various micro-climates, an advanced road weather information system (RWIS) is an absolute necessity to ensure public safety along Ontario’s roads. As a leader in provincial road weather monitoring, MTO began installing their RWIS network well before there were programs or standards in Canada. Over time, their full network has grown to a total of 151 RWIS stations province-wide. This made MTO a primary candidate for a pilot project proposed by Campbell Scientific Canada. Ontario’s 5 primary climatic zones and 40 sub-zones were a key factor in determining where each of the stations were installed. The network is considerably more dense in southern Ontario where the majority of the province’s population resides. Here, RWIS stations are found approx. every 50 km. In the north however, where population density is far lower, so is network density, with stations found approx. every 150 km. MTO realized a potential benefit in having access to more geo-relevant road weather data. More data would help ensure that road maintenance operations were as efficient as possible. In order to be effective, MTO needed a workable solution that would help densify their RWIS network on a variety of roadways, including class 4 and class 5 roads where full RWIS stations are not necessarily viable, all while remaining fiscally responsible. In search of an innovative and effective alternative, MTO experimented with solar-powered stations. The performance of these systems however, was unpredictable and therefore couldn’t provide consistent, accurate data. While simply removing the solar panel and substituting AC power may seem like a logical solution, the cost implications of running AC power into a remote area can be significant. 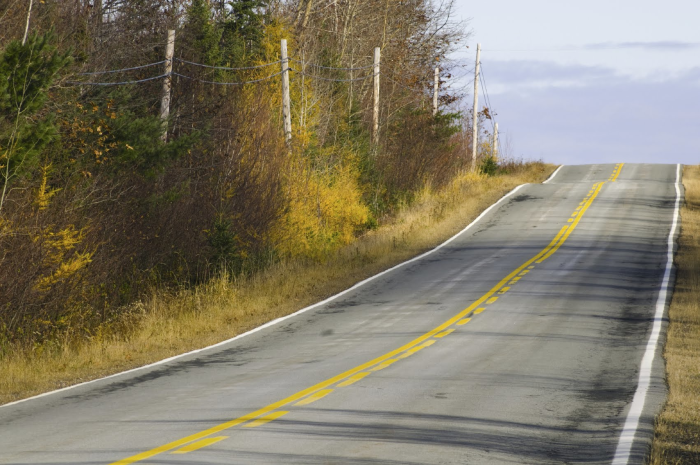 As a result, MTO like many provincial roadway operators, faced a true road weather challenge. As an industry-leader in integrated RWIS solutions, Campbell Scientific Canada (CSC) is one of the only companies in North America offering a compact, cost-effective solution designed specifically to densify existing RWIS networks and collect micro-climate data. CSC presented the WeatherBrain road weather densification solution to MTO for a pilot project. WeatherBrain is a solar-powered solution, which is a key factor behind both its cost effectiveness and it’s deployment capabilities in remote areas and on different classes of roadways. MTO identified a handful of key areas in which they felt their network would benefit greatly from further densification. accessibility of the site to ensure easy access for maintenance personnel. Based on these site assessments, the CSC team determined optimal installation locations at each site, then began prepping and testing the equipment. Finally, it was time for installation. A two-person crew installed 11 WeatherBrain stations in just 5 days throughout rural Ontario. Since the install, CSC has performed proactive maintenance and uploaded new programming to enhance power controls. Despite initial hesitations, the newly installed WeatherBrain stations have shown great promise that solar-powered stations can be capable and effective, and that densifying a province-wide RWIS network while remaining fiscally responsible is possible. 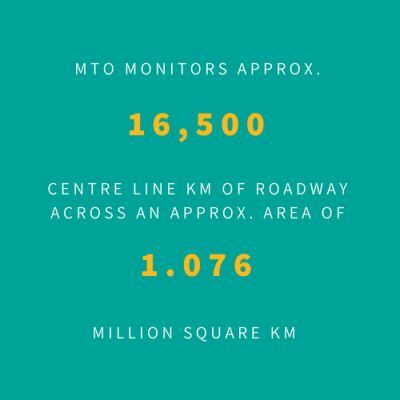 MTO will continue to work with CSC for another full season and additional data sets may be collected from existing and ancillary stations. Additional data sets may be used to monitor frost levels. With WeatherBrain, MTO is now able to access critical microclimate data from even the most remote areas of the province, to help them better forecast for condition-based maintenance activities and create safer roadways.